12th May 2018 – Five PACE athletes were in the action in the second meeting of the IAAF Diamond League series in Shanghai and they delivered five seasons best performances. Fred Kerley (USA) led off with a fourth-place finish in the men’s 400m clocking 44.71 seconds. This was only a tenth down on what he ran in his opening race last season, and from there he proceeded to win the US collegiate title, the US senior title and break 44 seconds. Having spent a large portion of the winter rehabbing from injury, Jenna Prandini (USA) is racing back to form and fitness and she took sixth place in the women’s 200m in 23.02 seconds. 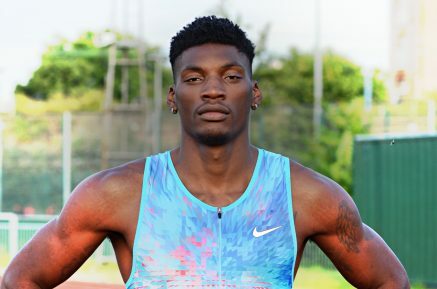 Another athlete who has had his own injury setbacks in Andrew Osagie (GBR) but he took a very encouraging seventh place in the men’s 800m finishing strongly an timing 1:46.36, a European Championships qualifying time. 1500m duo Bethwel Birgen (KEN) and Vincent Kibet (KEN) ran 3:35.95 and 3.36.44 to place eighth and ninth respectively. Elsewhere, at the Pure Athletics Meet in Clermont, Florida, Matthew Hudson-Smith won the 400m in less than ideal conditions and timed 44.70 seconds. An early season European lead and the third fastest time of his career. At the Guadeloupe Meeting Schillonie Calvert-Powell finished seventh in the women’s 100m.